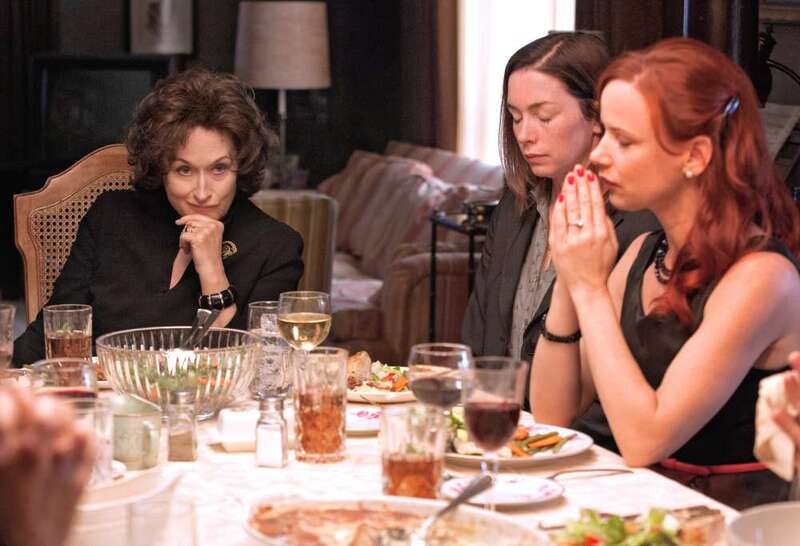 John Wells’ (The West Wing, ER) second feature-length directing effort, August: Osage County, has been accused of ‘Oscar-baiting’, partly because its starry ensemble cast includes three previous Oscar winners; Julia Roberts, Chris Cooper and a little somebody called Meryl Streep. But this film has already been out for months in the US, and there’s no reason to approach it differently just because it’s January, or because of the talented actors it pulls together. We can’t expect Meryl Streep to sit home and knit just because she’s already got a room full of trophies. August: Osage County is a big, messy outpouring of family drama provoked by the double-hander of the suicide of patriarch Beverley Weston (Sam Shepard) and his wife Violet’s (Streep) ongoing battle with cancer and prescription drug addiction. In a screenplay adapted from her own stage play Tracy Letts dramatises a reunion of sorts, as Beverley’s funeral brings the whole extended Weston family together for the first time in no-one-knows-how-long. Although the first act can be painfully languid, as a whole August: Osage County is drastically undersold by its clunky trailer, which both fails to convey the depth of the family drama, and reveals only a fraction of the cruelty the Westons inflict on each other. Exchanges between eldest daughter Barbara (Roberts) and Violet begin humorously but become increasingly shocking. 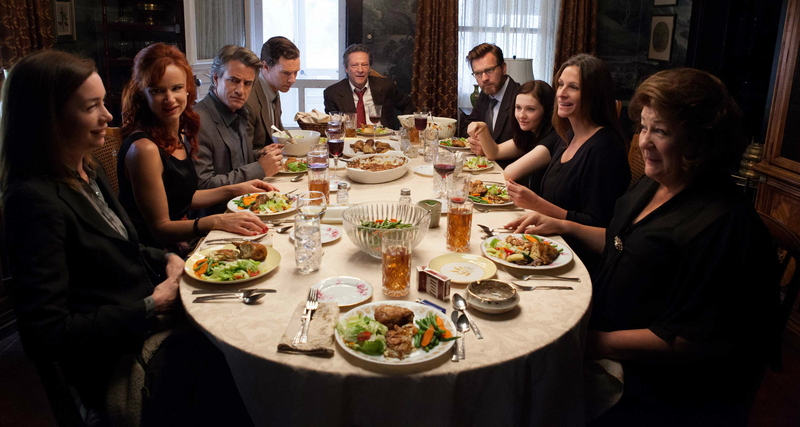 A central scene takes place around the dinner table, post-funeral, when emotions and tempers are running high, and, not unlike Roman Polanski’s Carnage (also based on a play), dissolves into shouting and violence. But August: Osage County doesn’t share the satirical wit of Carnage; although it is often blackly comic it provides a bleak presentation of family life, unfolding a tangled web of relationships in various states of decay. The three Weston daughters are so estranged that Ivy (Julianne Nicholson) has not even told Barbara and Karen (Juliette Lewis) that she was diagnosed with cancer. Even those relationships which at first seem strong and supportive, such as that between Violet and her sister Mattie Fae (Margo Martindale), are corrupted with betrayal. If all these characters seem hard to keep track of, that’s because they are, at least at first. The narrative, though engaging, doesn’t always manage to go beyond the cliché, including staple soap storylines such as an older man preying on Barbara’s teenage daughter (Abigail Breslin), and the hushed-up incestuous relationship between Ivy and cousin Charlie (a revelatory Benedict Cumberbatch). Of course Streep is a marvel – despite slight similarity in the characters there’s not so much as a glimpse of The Devil Wears Prada’s Miranda Priestly in Violet – but focussing on an individual performance in this film seems a disservice to the collaborative effort in which the interactions of all characters rings true. It is this strength of casting which means familial and romantic relationships can be decoded without the film having to spell them out. Really there is no central protagonist; characters’ stories receive near-equal attention, and the overarching sense we are left with is of a family breakdown due to a lack of mutual support, where responsibility cannot be applied to any one family member. 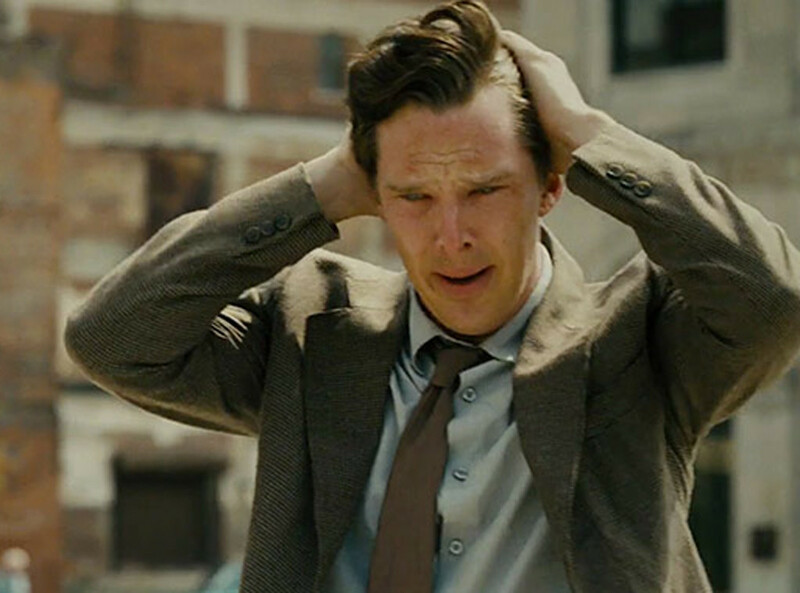 August: Osage County, if a little clumsy, is absorbing once the pace picks up. The disheartening and even depressing conclusion might leave a bitter taste in the mouth, but hopefully it can also encourage behaviour which will lead to more hopeful scenes in our own lives. This entry was posted in Film Reviews and tagged Abigail Breslin, August: Osage County, Benedict Cumberbatch, Carnage, Chris Cooper, ER, John Wells, Julia Roberts, Julianne Nicholson, Juliette Lewis, Margo Martindale, Meryl Streep, Oscars, Roman Polanski, Sam Shepard, The Devil Wears Prada, The West Wing, Tracy Letts. Bookmark the permalink.